Recently I have been trying to add as many healthy foods to my kitchen as possible to try and outdo the damages our bodies face everyday from various sources. Quinoa is a food which has become popular in the past few years but has been considered a superfood for thousands of years, since the time of the Incas. 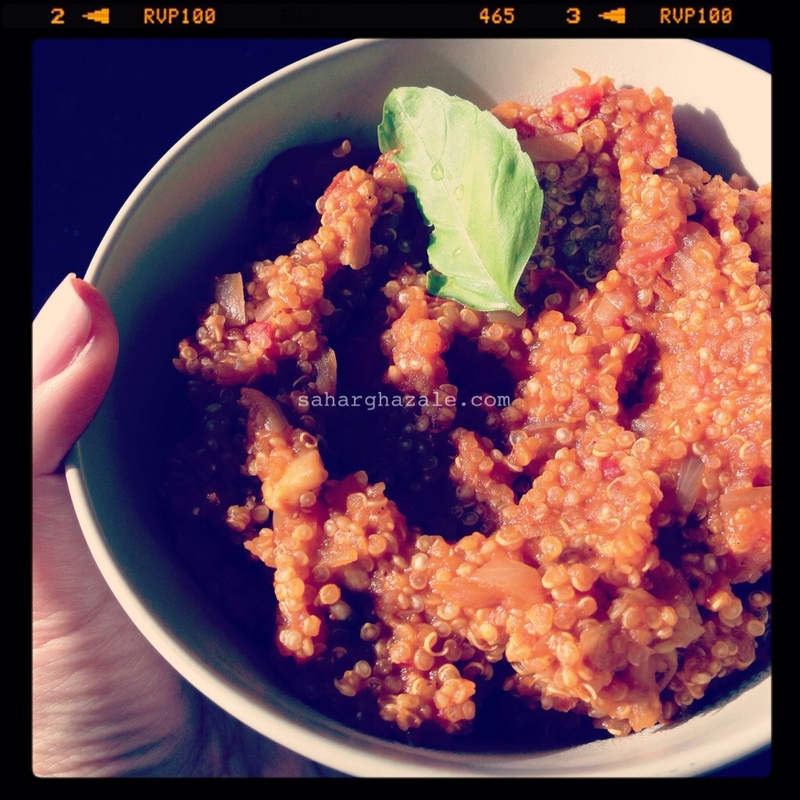 Quinoa is very high in protein, fiber, magnesium, iron, & manganese and must be a staple in every home. 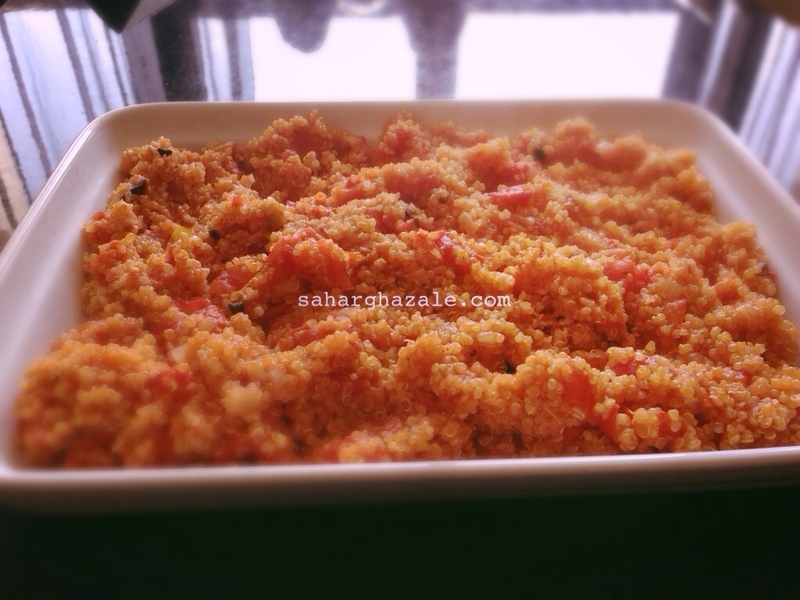 Very easy to cook, for every cup of quinoa you require two cups of liquid and just cook till done. 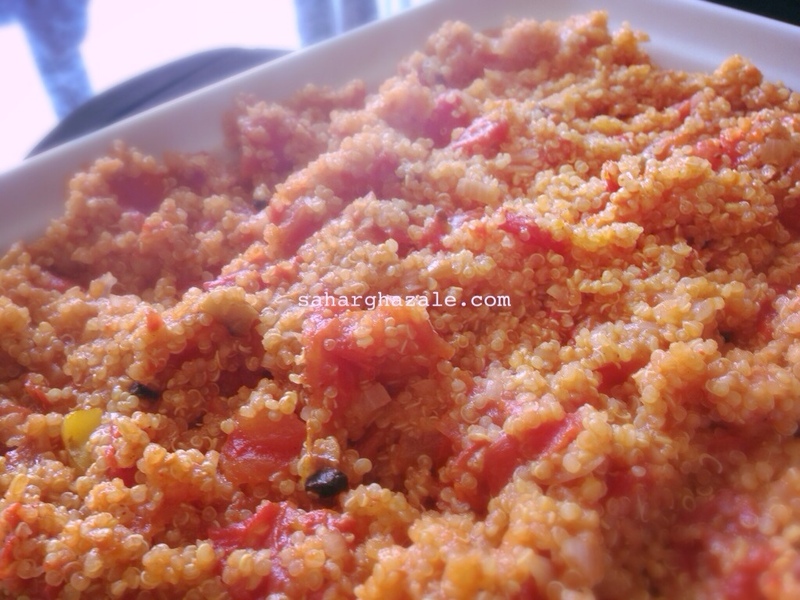 Since quinoa has no strong flavor, it absorbs any flavors added to it, which is why I decided to make it similar to the way I cook Bulgar (burghol), a dish my daughter loves. For the spices I used All spice, cinnamon, ground coriander, you can select whatever you prefer. Heat the oil then add the onions and garlic and flip them around till they wither. Add the mushrooms till tender. Add the quinoa and then the diced tomatoes. 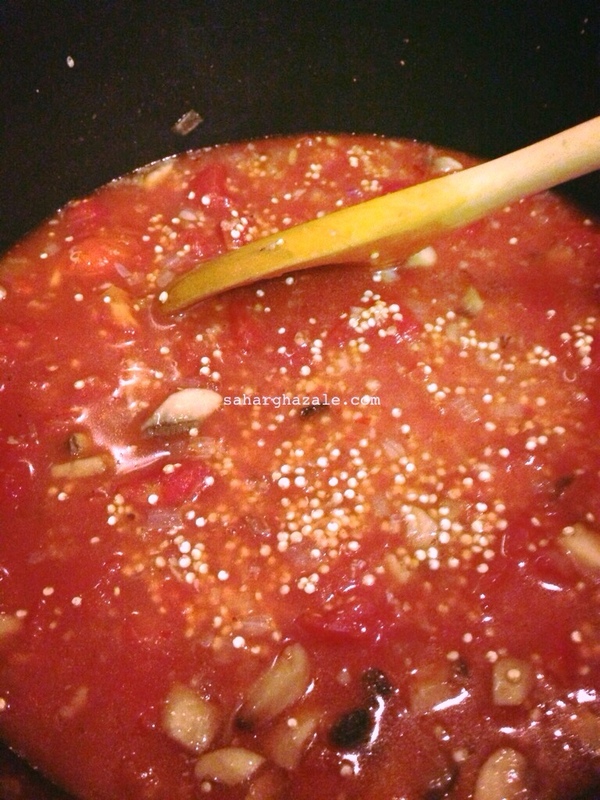 Stir them so that the quinoa starts absorbing some of the tomato juice and flavor of the garlic and onions. Add the hot sauce, tomato paste, spices, salt, and water. Let the mixture boil then cover the pot and on low heat wait for the quinoa to become tender, around 15-20 minutes. Try it first to make sure there are no hard pieces. That's it, very simple, healthy lunch or dinner, you can serve it with whole wheat pita (Lebanese Bread) if you are really hungry or have several mouths to feed! 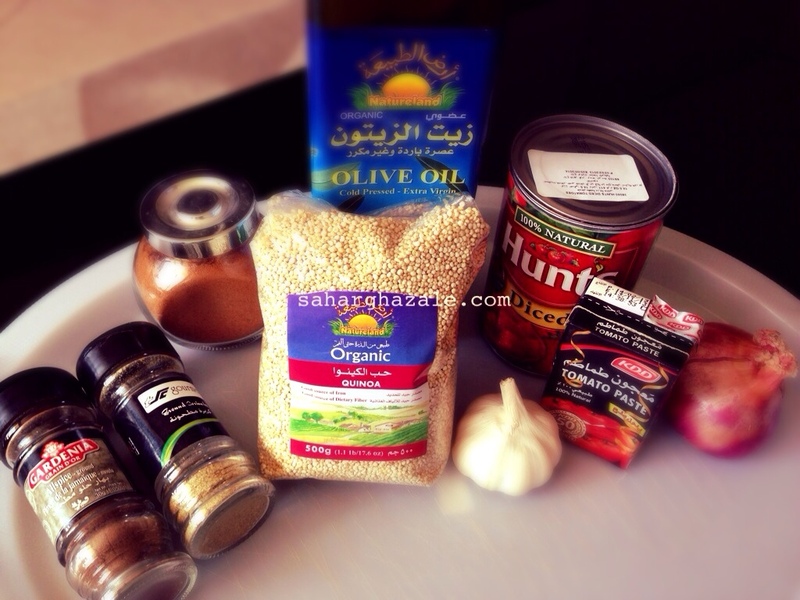 I bought all the ingredients from The Sultan Center, if they are out of Quinoa you can go to natureland's website and order online from there. They have other amazing natural and organic products as well.